Insights to Impact is a 30-city tour taking place across Canada from February to May 2019. The tour is a collaboration of national organizations, including us, the Canadian Council of Christian Charities, and Alpha Canada, Ending Poverty Together, the Global Leadership Summit, and a network of national student ministries. show how working together can have a measurable impact on your community. 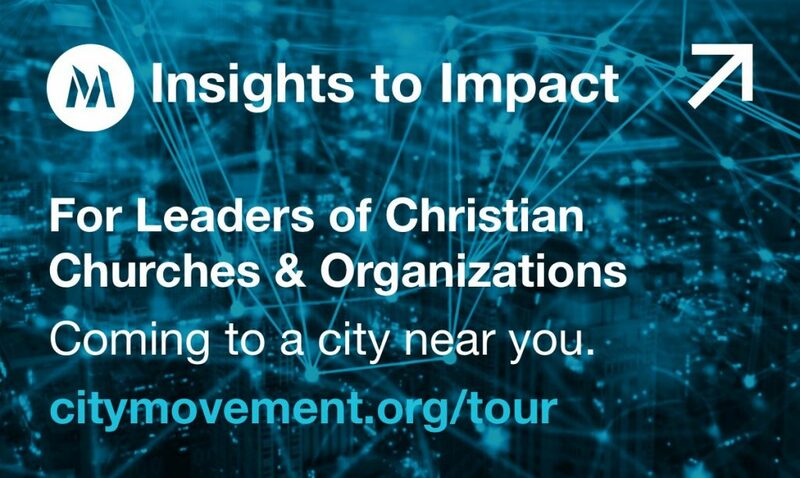 Go to citymovement.org/tour to see the full list of cities and dates and to register to attend.